Apple has forced Pegatron to stop manufacturing the Asus Zenbook with the threat of pulling its iPhone orders, according to the Commercial Times. 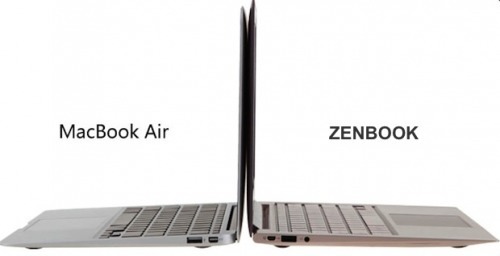 9to5Mac reports on the Chinese article which said the similarities between the MacBook Air and the Zenbook instigated Apple to demand that Pegatron choose sides. Pegatron will reportedly stop manufacturing the Zenbook family by the end of March and Asustek will have to outsource their manufacturing to Compal or Wistron.